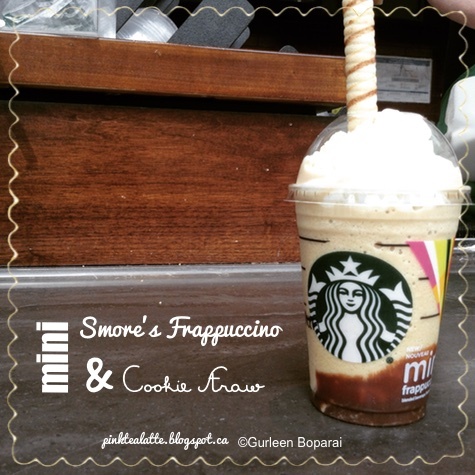 Pink Tea Latte: Latte Moment // A MINI SMORES Frappuccino! We all love a nice cold frappuccino on a hot spring/summer day. But if you are like me, those frappuccinos can be very filling and tough to finish. I feel as though Starbucks has heard our frappuccino anguish and has given us the MINI size! About time if you ask me! I always have gotten the tall frappuccino,but each and every time I have struggled to finish the last half of my drink. 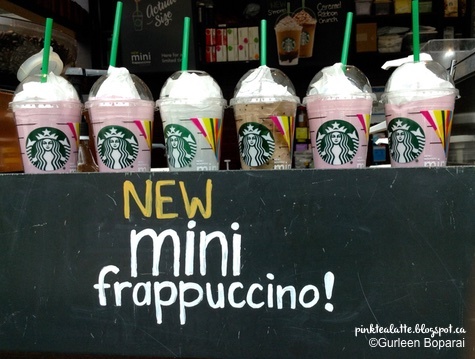 The Mini is for us Chic ladies who just like to sip a little Starbucks, but not turn a treat into a struggle. Because, wasting precious liquid gold from Starbucks is unacceptable! Also, HELLO to the SMORES Frappuccino! Sprinkling of graham cracker crumble! I dare say that the new Smores Frap is a tad sweet. Especially the marshmellow-infused whipped cream! It has a bit of a weird texture when it mixes in with the icy creamy blend of graham, coffee, milk and ice! Try it ladies and give me your thoughts, yay for the MINI?